DMT Diamond Sharpener WAV-F. DMT has developed the first diamond sharpener to combine convex and concave abrasive surfaces. The uniquely designed Diamond Wave affords longer sharpening strokes over traditional slip stones providing 0.0625 inch radii tapering TO 1.000inch radii accommodating all curved gouges. DMT offers the Diamond Wave in two diamond sizes; 600 grit / 25 micron or 1200 grit / 9 micron. 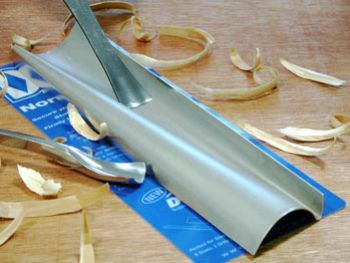 One tool can properly maintain a wide range of curved surface tools like in-cannel and out-cannel gouges carving tools and wood turning tools.